Most notable goalkeepers are quite crazy and ego-centric, especially when it comes to legends but Italian icon Dino Zoff was anything but. Intelligent, calm, poised and focused – these are the words which best describe the man who has been hailed by many as not only one of the best goalkeepers of all time but one of the best athletes to grace the game. He is also the oldest winner of the World Cup when he captained his Italian team to defeat Spain in the 1982 final – at the age of 40. Not only that, Zoff was also crowned the best goalkeeper of the entire World Cup. Zoff’s goalkeeping ability is legendary; he was outstanding and has a rightful place in history as one of the very best. Zoff also had one of the longest clean sheets of all time; he remained unbeaten for 1142 minutes. Post retirement Zoff had a successful career as a manager and coach of the Italian soccer team. Many refer to him as the perfect leader in the game of soccer due to his calm demeanor, and unflappable nature while on the field. 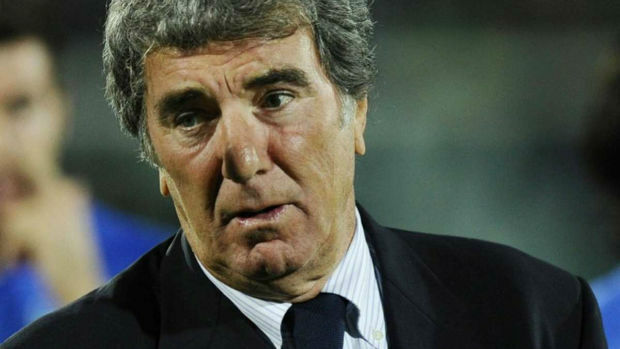 Dino Zoff was born in 1942 in a small town of Mariano del Friuli, Italy into a family of farmers. Despite developing a love for soccer due to his short height he was advised by his father to consider an alternate profession. It was his grandmother who fed him countless eggs in a day from her farm in an attempt to boost his height. After five failed trials at a youth soccer camp, Zoff finally managed to find success as he had grown a whopping 13 inches. Initially Zoff struggled to make a mark but after a few unsuccessful years he finally found success in Mantova and then at Napoli. Zoff credits his humble beginnings and hardworking nature as something which always enabled him to overcome difficult periods in his professional life. To this day Zoff remains to be the only Italian player to have won both the Wolrd Cup and the European Championship. He found great club success as well; with Juventus he won six Serie A titles, two Coppa Italia titles and an UEFA Cup. He also guided his teams to two European Champions Cups finals. He is the most capped player for Azzurri with 112 caps. It was when his career was towards its finishing line when he peaked the most – by winning the World Cup and European Championship. Many pundits believe that when it comes to Italy Zoff’s role in cementing soccer as a great game. He was also a bona fide leader and is considered to be by many as the complete sportsman and captain. Many Italian players today consider Zoff to be a perfect example of how an ideal soccer legend should be like. He has set a precedent by which all goalkeepers are measured today. Dino Zoff has been names the 3rd Greatest Goalkeeper of the 20th Century by the IFFHS. In 2004 Pelé named him as one of the 125 greatest living footballers. Zoff came fifth in the UEFA Golden Jubilee Poll, and was elected as Italy’s golden player of the past 50 years. In 1999, Zoff placed 47th in World Soccer Magazine’s 100 Greatest Players of the Twentieth Century.